Mobile strategy games are quite different from their counterparts on PC. It is even possible to say that they are “conquest” games instead of strategy because of this difference. Almost all strategy games use the same formula: Build a kingdom, start collecting resources, set up an army, and conquer other kingdoms. Which buildings will be in your kingdom and at which speed they will be upgraded affects both your flow of resources and the size of your army. 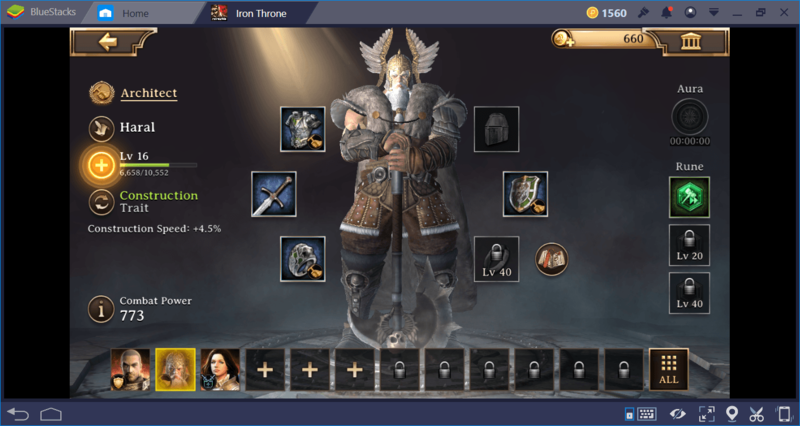 The best-known example of this category is Lords Mobile, but there are also more modern (and more advanced) alternatives like Iron Throne, King of Avalon, and Guns of Glory. Since you do not have to make any sudden decisions, you can play strategy games comfortably on mobile devices. However, this does not mean that the mobile control scheme is the best way to play them. First of all, the screen of mobile devices is quite small, but there are a lot of things you need to see at the same time: At a glance, you should be able to see the world map and identify possible threats. You should also be able to see your kingdom from a wide perspective and see how you can grow. Since the interfaces of mobile strategy games are very rich, it is not possible to do all of these things on small screens. Moreover, when your kingdom grows and hosts a large number of houses after a certain period of time, a variety of performance problems arise: Your mobile devices do not have the processing power required to deliver a fluid performance. In addition, mobile strategy games attach great importance to cooperative gameplay. You have to join a guild to unlock some features and access some resources, so you have to play with other players. However, most guilds are quite deserted and have already lost their members. Crowded guilds are not usually very helpful, and do not answer your call for help. 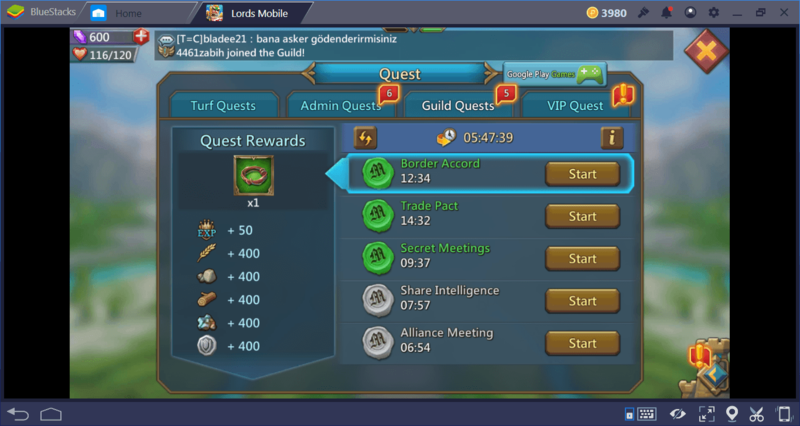 But more importantly, the odds are quite high that other players will be “offline” when you play: In this case, even if you are a member of the most crowded guild, you won’t be getting any benefit at all. With BlueStacks 4, you can solve all of these issues and start enjoying mobile strategy games again. First of all, you will not experience any performance problems: Even the most crowded kingdoms will be displayed flawlessly as your PC hardware is used. The menu and screen transitions will be much quicker and you will start to notice the details that previously escaped your attention. 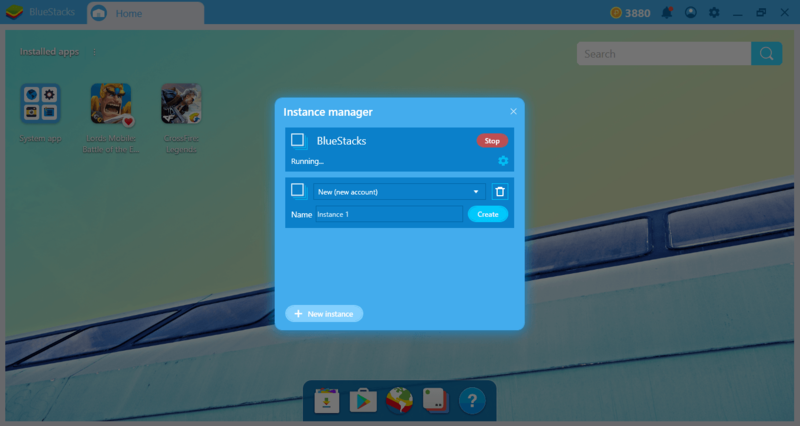 But the biggest benefit of BlueStacks 4 will be to remove your addiction to other “real people.” With our multi-instance feature, you can play a game with multiple accounts and set up your own private guild with multiple accounts. The multi-instance feature will ensure that you become literally a “one-man army”. You can set up a custom corner on the world map and establish buffer zones to protect against invasions. You can send troops to yourself and create a great army. Or you can use one of your accounts for resource production only, and focus on creating an army on another one – the options are endless. In any case, be assured that the multi-instance feature will offer an advantage to you. You can also use this feature in other games: Playing with multiple accounts offers you an advantage in almost every game. We recommend that you take a look at the guides we prepared about this subject. 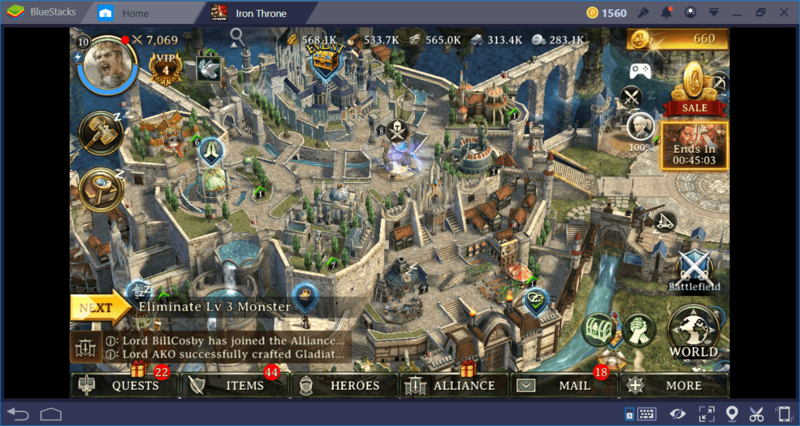 Once you are ready to conquer worlds, start with Iron Throne: It offers amazing graphics and modern conquest mechanics. You get the chance to collect a lot of heroes too! If you like old-school conquest games, Lords Mobile will be a good option with its cartoony graphics and refined gameplay. Or, you can get the best of “old” and “modern” worlds and go for King of Avalon or Guns of Glory. As always, do not forget to share your experiences with us by leaving a comment!